The previous frames of the input clip are distorted by the gradient of a given Lens input clip and combined with the current frame to give a variety of possible effects. The output of each processed frame is stored and then combined with the next frame. The feedback is reinitialized whenever any non-consecutive frame is processed, either the first frame, reprocessing a given frame, or jumping to another frame. You must process multiple frames of a clip in a row to observe the effect, and clearing your image cache before rendering may sometimes be necessary. Lens: Optional. Distorts the previous frames using the brightness values of this input clip. Distort Amount: Default: 0.1, Range: any. 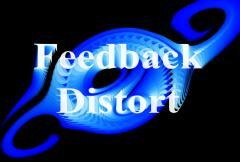 The severity of the feedback distortions. Make negative to invert the direction of the distortions. Blur Lens: Default: 0.08, Range: 0 or greater. Smooths the lens image by this amount before using it. Increase this for smoother more continuous feedback directions. Rotate Distort: Default: 90, Range: any. Rotates the distortion direction by this many degrees. If non-zero, this can create some twisting distortions. Z Dist: Default: 1, Range: 0.001 to 10. Rotate: Default: 0, Range: -90 or greater. Shifts the previous frames by this amount for each new frame. If this is non-zero the Center location is less meaningful. This parameter can be adjusted using the Shift Widget. Show Transform: Check-box, Default: off. Show Center: Check-box, Default: off.